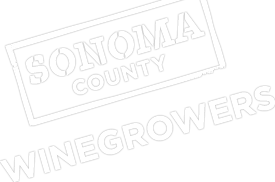 On this week’s show, Karissa was joined in studio with Sonoma County Winegrowers Board member Joe Battaglini of Battaglini Wines. During the show, Battaglini talked about growing up in Italy and immigrating to the United States at the age of 20 to realize their “American Dream.” His family’s vineyard boasts Zinfandel vines planted back in 1885. Karissa also discussed current vineyard activities in the Spring time, as well as winegrower’s water conservation efforts.